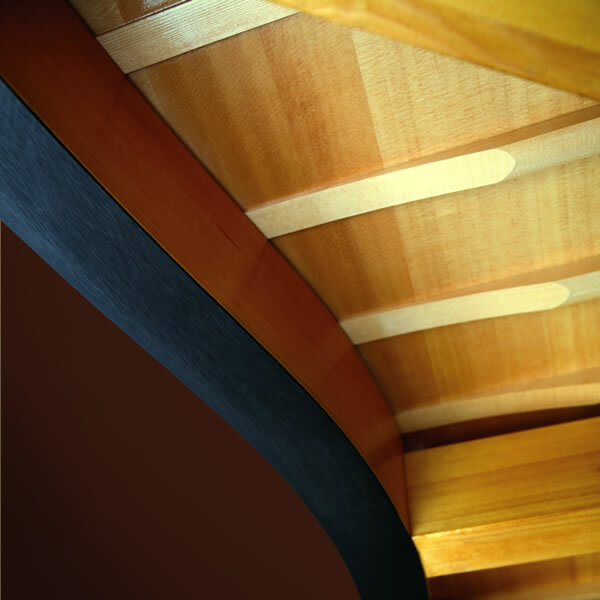 The custom-tapered soundboard in a Shigeru piano is made exclusively from the finest spruce, aged by the traditional kigarashi process that uses only the forces of time and nature to allow the wood to attain a state of natural balance. 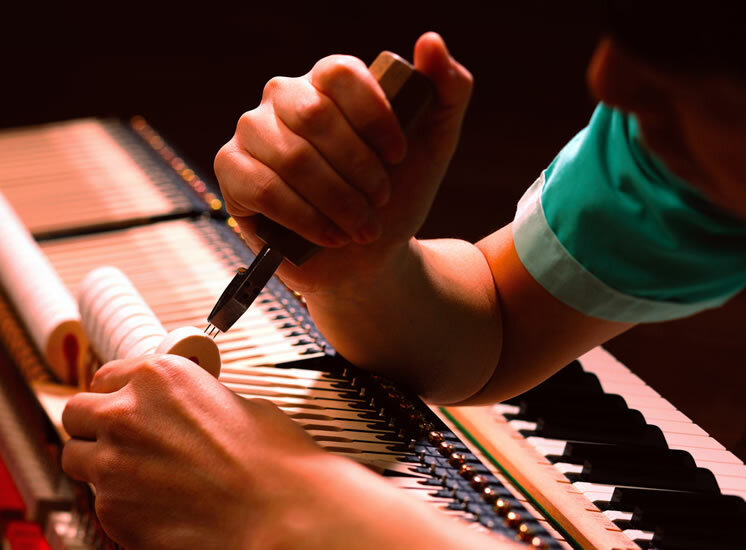 It is this lengthy and painstaking process that gives Shigeru pianos their uniquely rich tonal quality. 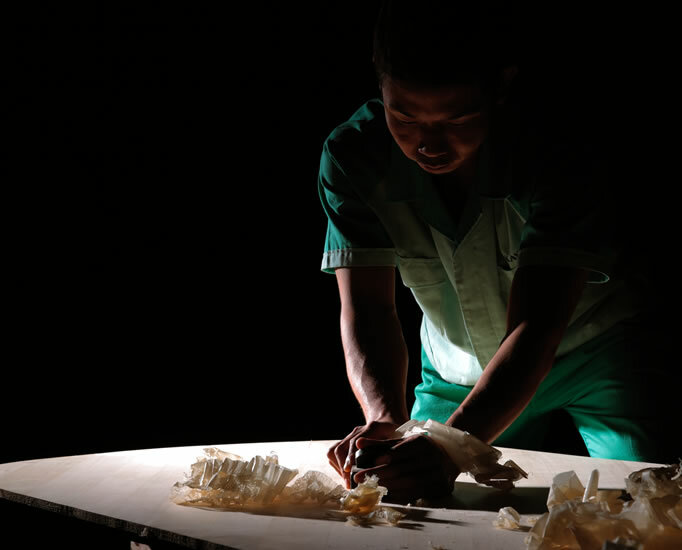 Shiko Seion hammers, which take their name from the Japanese words for “ultimate voicing”, are the exclusive province of our Master Piano Artisans who oversee their formation from beginning to end. Every hammer is meticulously hand-pressed without the application of heat and carefully voiced without artificial hardeners to ensure outstanding dynamic response and expression. The exclusive Konsei Katagi rim uses a blend of distinctive hardwoods to achieve an ideal balance of tone. For the inner rim, small-pored hardwoods that provide superior brightness and projection are interlaminated with dense, large-pored hardwoods offering warmth and fullness. 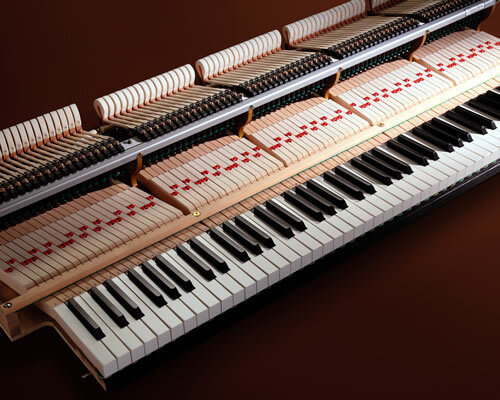 This synergy of structurally divergent hardwoods produces a powerful, well-rounded richness of tone that is the hallmark of the Shigeru piano. Our acclaimed Millennium III Action uses state-of-the-art ABS Carbon components that are exceptionally light and rigid to provide faster repetition and more power with less effort. Microscopic surface textures on selected action parts provide superb response and control. Stretcher Over-Lap Integrated Design (SOLID) creates an exceptionally rigid foundation to support string tension. With SOLID construction, the pinblock is hand-fitted to the plate. The pinblock and over-lapping stretcher bar are then integrated into a single structure and solidly anchored to the rim. The resulting framework possesses outstanding strength and rigidity to ensure stable tuning and powerful tone. 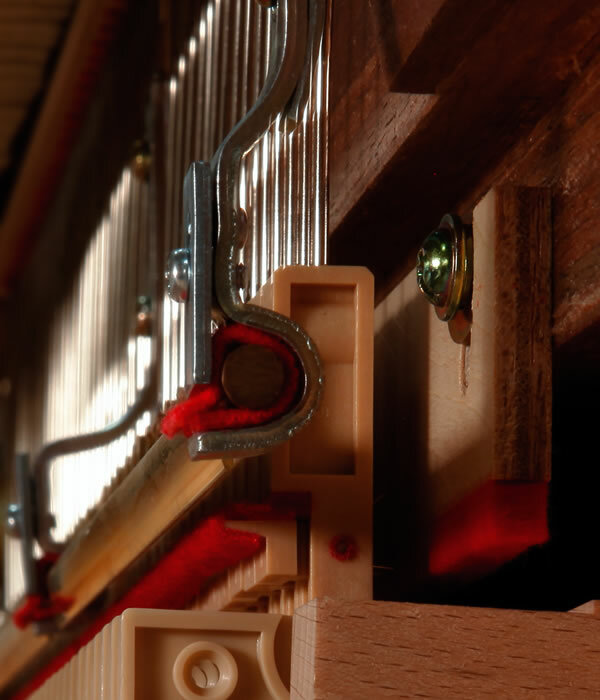 The overall length of each keystick is extended to make playing easier and provide more even touch and response from the front to the back of the playing surface. Keysticks are also designed with a slightly taller profile for maximum rigidity to deliver greater power. The use of hardwood maple key buttons adds stiffness to the keysticks for improved energy transfer. 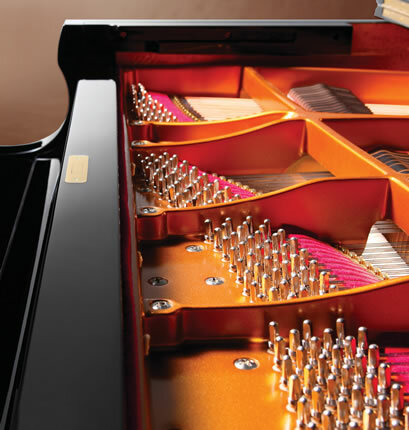 The redesigned key buttons on the Shigeru Concert Series instruments have been doubled in length to provide exceptional energy transfer and optimum power. In the Japanese language, the word temaki literally means “hand wound”. 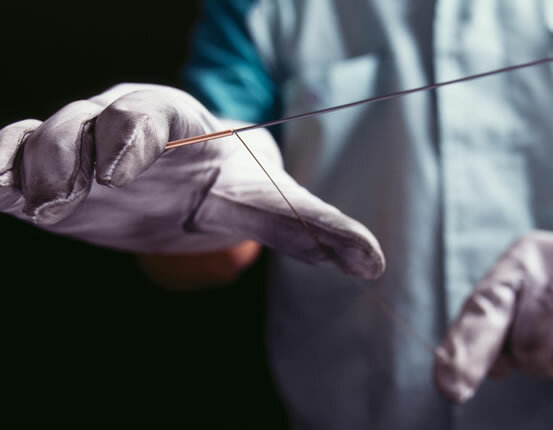 In the unhurried temaki process, the artisan patiently directs the winding of each individual bass string by hand for absolute precision and tension to ensure rich character and superb depth of tone. 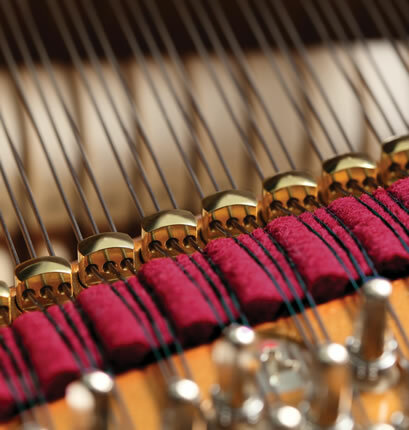 Identical to those used on our renowned Ex Concert Grand Piano, Shigeru Kawai Concert Agraffes are individually machined from billet brass rods to assure maximum precision and strength. The result is clear, powerful and impressive tone. Spruce is known for its outstanding ability to conduct and conserve sound energy. However, it is generally considered too precious for use as a structural material. 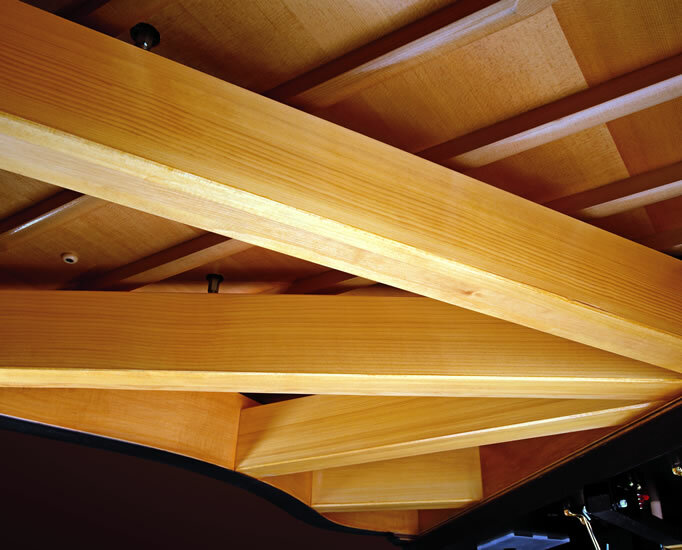 For the Shigeru pianos, all of the underside beams are made entirely of the highest quality spruce. Boxwood is an extremely hard wood that is particularly effective in transferring higher tonal frequencies through the bridge to the soundboard. 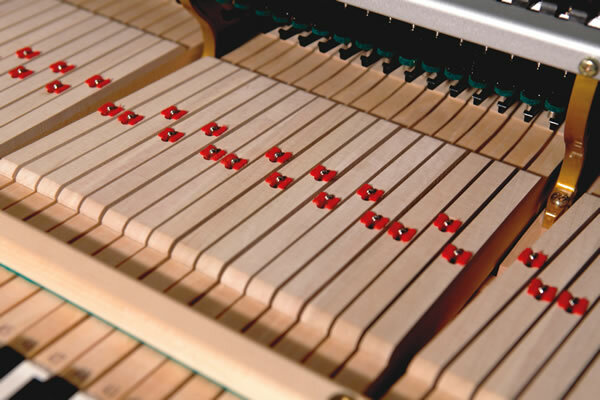 Boxwood bridge caps help to ensure treble projection that complements the more powerful bass sound of larger pianos. Available on SK-5, SK-6 and SK-7 only. 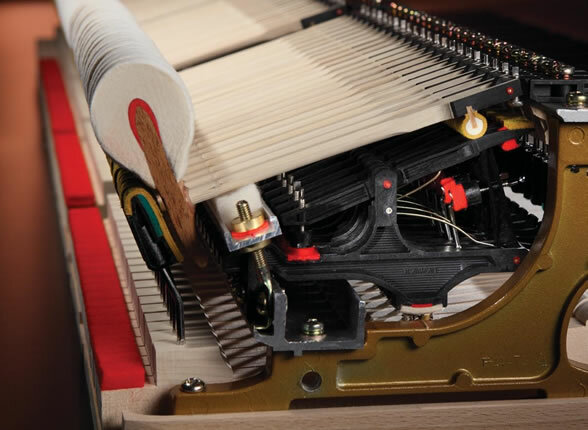 Meticulous attention to the needs of professional performers is evident in every feature of the Shigeru piano. 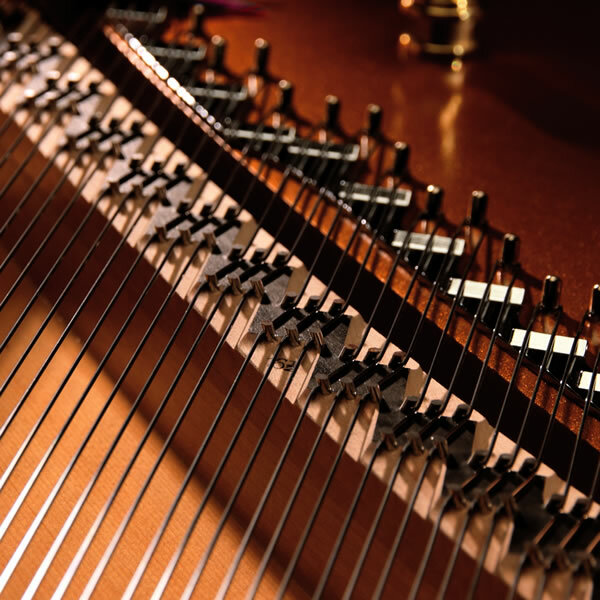 One example, originally developed for our Shigeru Kawai Ex Concert Piano, is the unique dual-pivot damper design that allows smoother half-pedal control for delicate tonal expression.